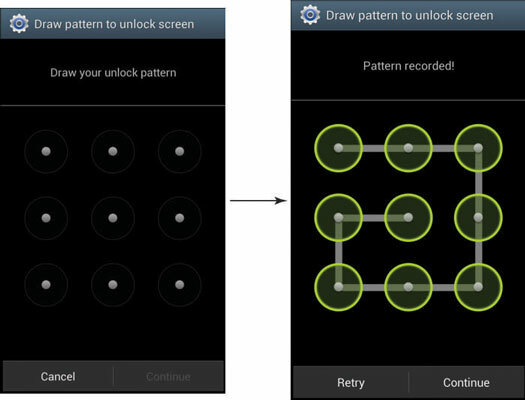 The unlock pattern is a design that you draw with your finger on a nine-dot screen as shown in this figure. The image on the right shows a sample of a pattern. It happens to include all nine dots. You do not need to use all the dots. The minimum number of dots you must touch is four. The upper limit is nine because you can only touch each dot once. As long as you can remember your pattern, feel free to be creative.